HPG has provided both corporate and private clients with outstanding destination celebrations in and out of the United States. Here’s a first class look into the endless possibilities of what an event planner can do for your destination event, with a special offer included! Start with an overall budget that includes travel, accommodations, activities, dining, and any extras. Going through an event planner will save you more time and money than you may think. HPG Planners work with destination event clients in detail to make the best use of their budget and recommend perfect places to visit with activities while abroad. We work with local resources to arrange the event, corporate incentive, or getaway of a lifetime! Time of year can have dramatic effects on maximizing the budget as special offers during the off-season are generally more abundant. There are so many wonderful places to go for a destination celebration! An experienced planner will be able to recommend locations and get you to your dream destination. After many years doing events abroad, Hollywood Pop Gallery has formed relationships with hotels and local specialists throughout the world. We make sure your expectations are exceeded and all the accommodation details have been well planned and personally scouted. Luxurious private transportation is not as unobtainable as you think, and the benefits are definitely worth the cost. Flying privately can save you time in many ways- you are able to arrive to your aircraft shortly before it departs (no crazy TSA lines!) and fly a direct route. Our clients find it much more convenient, less stressful, and have an overall higher quality experience. One of the leading providers of on-demand private jet charter that HPG continues to utilize is JetOptions. JetOptions elite services have continued to prove both reliable and luxurious. Their services range worldwide, flying out of many convenient locations (Westchester Airport for example!). With over 10 years in the charter industry, their flight specialists have the knowledge, experience and education to recommend and determine the appropriate private jet for every jet charter flight. Not to mention JetOptions continues to provide the lowest rates and a Trip Reconciliation Program that goes unparalleled. With this program, JetOptions offers a refund on any saved money on flight time, fuel costs, airport fees, or other factors, if they occur. We are pleased to announce in partnership with JetOptions, first time JetOptions charter clients will receive complimentary private catering on your aircraft, as well as a free consultation with a HPG planner on any destination booking. Plus- as our additional special gift, a bottle of HPG’s favorite champagne for your travels! Offer is available January-May 2016. Call HPG New York (212.777.2238) or Greenwich (203.622.4057) & mention this blog to redeem. HPG has booked a wide variety of events overseas from weddings, birthday celebrations, corporate events, and even weekend getaways. Entertainment is always a key part, whether it be a DJ, name talent, specialty performers, etc. One of the essential reasons to have a planner for destination event entertainment is to handle contract management, talent relations, and live production. We make sure you’re getting top quality entertainment and craft a flawless experience. Above is a picture of Seal preforming at a private concert for a destination birthday. HPG has brought our services to Japan, Mexico, Normandy, Colorado, London, and many more. For your event, invite your favorite celebrity chef, speaker, or performer to join your celebration abroad! There are estimates that around 90% of all private jet travelers will fly at least once during the peak holiday season which begins in the United States with Thanksgiving. Many experienced jet charter travelers know that it is best to start reserving their private aircraft charters as early as possible in order to secure the ideal times, best aircraft, and the perfect destination for their holiday flights in November, December and January. Getting some time away from work and relaxing with family and friends should be just that: relaxing and enjoyable. There are many reasons why for the upcoming Holidays (or at any time for that matter) you should charter from JetOptions instead of flying commercial. We saw a marked increase this past Thanksgiving (2015) in charters over past years. For us, it was the busiest since 2008, and we expect (and hope) this Christmas and New Year’s to be busier than in past years. Airport choice: You have a larger selection of general aviation airports from which to choose so that you can avoid the busy, large commercial hub airports. As an example, if you are flying to Dallas on most commercial flights, you would have to fly into Dallas Fort Worth Airport which is about 45 minutes to an hour from downtown Dallas. When flying private, you can also fly into DFW airport, but you can also choose to fly into Addison, McKinney, Love field, Denton and Dallas Executive airports depending on where your final destination is in the DFW metroplex and what is most convenient for you (see map below). Even if you fly out of a larger airport, you will do so out of a Fixed Base of Operation (FBO) which is a small facility separate from the commercial terminal entrance. In some FBO’s you can drive up to the aircraft in-hangar or on the tarmac. If you have a hired car, the driver will unload your luggage directly to the aircraft. If you have driven your own vehicle, parking in FBO’s is free and secure. There are no long security lines with invasive searches. Your luggage is with you the entire time so it won’t be lost or damaged. There is also ample room for golf bags, skis or any sports equipment you may have with you. One of the crew members will check you in to your flight. If you are delayed or late for your flight, the aircraft waits for you. If you want to depart early, you can give us a call and we can alert the crew to ready the aircraft. Total flexibility and on your schedule. Our clients that travel with children often cite this freedom from a set schedule as one of the main reasons for chartering a private aircraft. Shorter travel times are achieved because of the time saved in parking, checking-in, security, changing planes and waiting for the scheduled time of departure. A 7-hour domestic commercial airline trip can be done in as little as 3 hours on a business jet. No plane changes on your flight. You do not have to worry about gathering your family and all your belongings and rushing to catch your connecting flight. 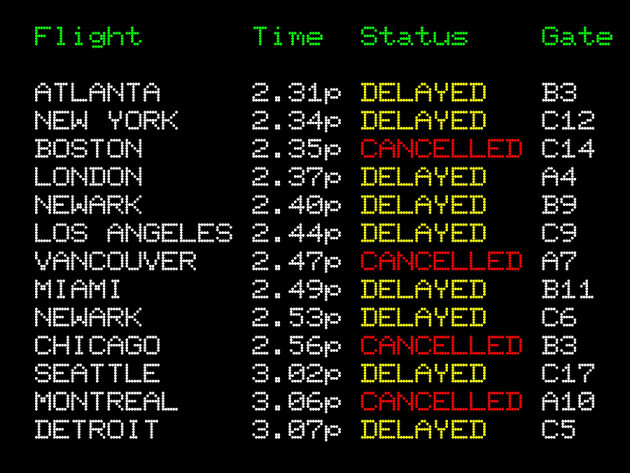 As often happens in winter, if your first flight is delayed and you miss your connection, you could spend countless hours waiting to get out on another flight. You can pick up family members in different cities. We can make as many stops as you’d like to pick up more family and friends. The more the merrier. Only the people in you party are on the plane so that you can enjoy your privacy. For the holidays, you want to be around family and loved ones. To many of us, our pets are part of the family (and often the ones we get along with the best), and no vacation is complete without them. JetOptions has pet friendly aircraft. 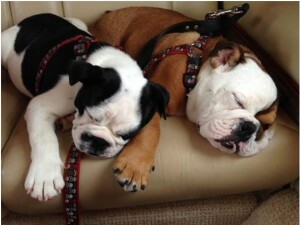 Take your trusted pet in the cabin with you so they can enjoy the family trip as well. Food and drink: Our flights have complimentary drinks and snacks, but as long as there is enough room for it in the cabin, we can provide anything your heart (or stomach) desires. It can be something as simple as a boxed lunch or fruit tray to a more complex multi course gourmet dinner. 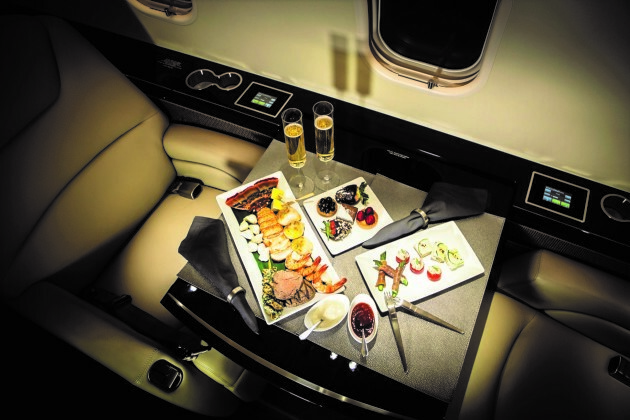 We use only caterers with experience in providing private jet dining. Everything is made to order. The same goes for drinks: if you’d like a special bottle of wine or champagne, we can provide it. The holidays are upon us and now is the best time to call us to charter an aircraft. It is also the season of giving, so what better present than to charter a private jet for your loved ones. We are available 24/7/365. JetOptions specializes in a private jet charter to Hawaii. Hawaii is one of our clients’ favorite destinations. We charter private aircraft, private jets, executive jets, business jets and corporate jets to all the main airports in Hawaii. Enjoy beautiful island weather, stunning geography, the vast diversity of ocean and nature adventures when you fly with us to the Aloha state. Honolulu International Airport, located on the island of Oahu, is the largest and busiest airport in the state. Located northwest of the city, it’s also one of the busiest airports anywhere with more than 21 million annual passengers. 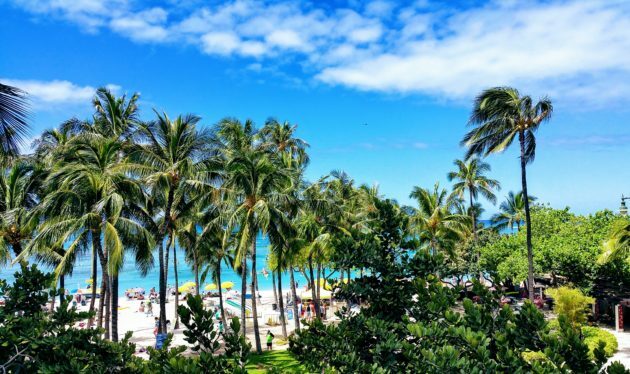 Conveniently located only three miles from Honolulu’s city center and four miles to the famous sands of Waikiki Beach it’s popular with business jet travelers and tourists alike. The majority of the air traffic at HNL is commercial aircraft, and about 16% is general aviation traffic, including private jet charters. There are three fixed base operators (FBOs) at PHNL to meet the needs of private planes. These include all private jet terminals for passengers, aircraft fueling and maintenance, U.S. Customs services for international travelers, and 24-hours of operation each day. A full complement of rental cars is available, as are ground transportation, town car, helicopter, and limousine services on to your ultimate destination in the State of Hawai’i. Maui Kahului Airport is on the island of Maui near the base of Mt. Haleakalā, the stunning 10,023 feet volcano that is a defining feature of this island’s geography. A popular destination and a busy airport, OGG has more than 1.6 million passengers arriving from Honolulu each year. You can charter and fly direct to Maui’s Airport on a private jet. PHOG has two fixed base operators offering passenger services, customs services, aircraft fueling and maintenance, all rental cars, ground transportation, and helicopter services. Ke-āhole Airport is located on the Island of Hawaii. Formerly Kona International and Keahole, the airport was renamed in 2017 to honor astronaut Ellison Onizuka. With the second longest runway after Honolulu’s this airport is another international transit hub for jets crossing the Pacific Ocean. Charter and fly direct to the Island of Kaua’i. Fly to Hawaii’s Lanai Island. Due to the distance, you’ll need a super mid-size jet or a heavy private jet charter to Hawaii because these aircraft have the range to make it from the west or east coast to Hawaii (about 2,200 to 4,500 nm). We also have ultra long range aircraft that can make the trip to Hawaii nonstop from anywhere in the world. We have locally based aircraft, transient aircraft, and floating private jet charter to Hawaii available for charter at all times. We offer highly competitive rates on private jet charters to Hawaii with the only the safest and best rated private jets. 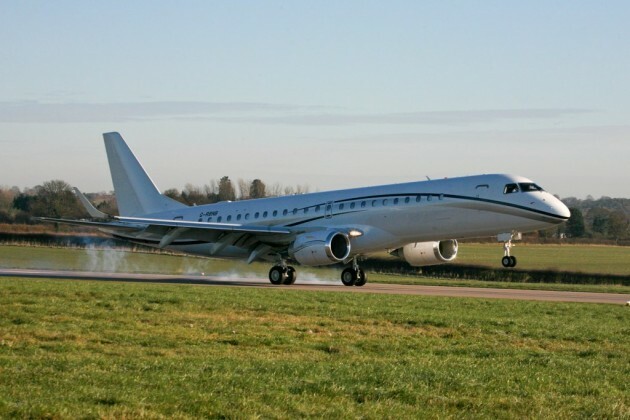 We also offer empty leg jet charters and real one-way charter rates which are updated daily on our Jet Specials page. So if you are planning to charter a private jet charter to Hawaii, please call our private jet charter specialist at 888-535-9538. You can also send us an email request to our charter experts, or fill out a private jet charter request form. We are available 24/7/365. Using a private jet charter in Europe is more popular than ever. 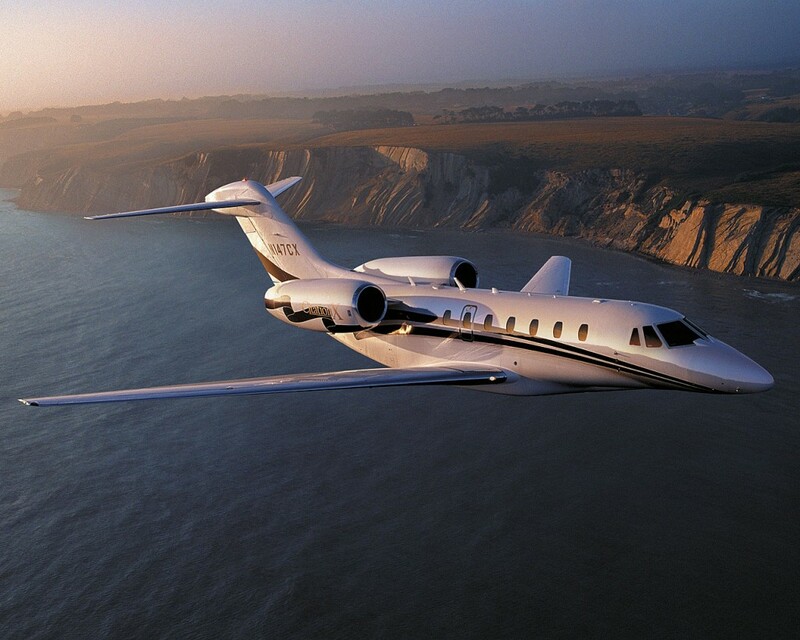 There are many reasons to use a private jet charter to Europe through JetOptions. If you like saving time and want the ability to land at many airports, including those that commercial airlines don’t serve with a direct flight, JetOptions is here to serve all your needs. Many of our passengers need to be able to work uninterrupted en route, value their privacy, and prefer a more comfortable in-flight experience, especially during lengthy flights like a private jet charter to Europe. If you’re like our clients, then chartering a private jet from JetOptions is your answer. One of the most significant reasons our clients cite for using a private jet charter to Europe and beyond is that it is time-saving. There is no need to arrive hours before a scheduled flight, and there are no waiting lines for boarding and luggage. Furthermore, the aircraft adapts to your schedule. You don’t have to arrive two hours beforehand and worry about missing your flight. You can arrive at your FBO when you use a private jet charter to Europe just minutes before your scheduled departure time, and often fly non-stop to your destination. If you’d like to leave early or your meeting is running late –no problem- the aircraft will move at your leisure. Also, with a last minute trip with a private jet charter to Europe—to any city in Europe—JetOptions can charter a private jet in as little as two hours regardless of the time of the day. We are available 24 hours a day. Increase your productivity by utilizing your office in the sky. You can also use the FBO business facilities that are at your disposal at your departure and destination city as you enjoy a private jet charter to Europe. You and your clients or business associates can make the most of your travel time to conduct business or get ready for your next meeting. Flying out of smaller private airports allow for more privacy and convenience. In many cases, you can fly out of airports that are closer and more convenient for you. For added privacy, you can be picked up and dropped off on the tarmac, right next to your aircraft. Once on board, you needn’t worry about other people listening in to your private conversations. Cabin comfort can make all the difference in whether you reach your destination jet-lagged or well rested. With a private jet charter to Europe, you have large ergonomic leather seats with room to stand and move around which helps reduce fatigue. 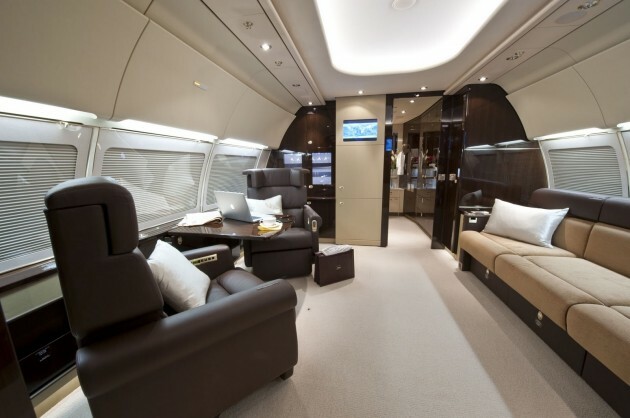 Business jets take into consideration other factors that affect comfort like pressurization, cabin air quality, ambient noise, vibration, and natural light. In most airline passenger cabins, even in first class, the air pressure is equivalent to about 6,000 to 8,000 feet above sea level. When cruising at the highest altitudes, lower cabin pressure in a private aircraft significantly reduces fatigue on passengers. In a commercial airliner, cabin air is a filtered mixture of fresh air and re-circulated air, and it’s arid, which can cause dehydration and may make passengers more susceptible to airborne illnesses. Private jet charter rates to Europe examples are based on roundtrip travel returning next day. Prices (USD) can be used as a reference. Your rate will depend on your travel requirements and aircraft availability. Prices on private charter flight quotes will include all taxes and fees. For all these reasons book a private jet charter to Europe through JetOptions. Call charter specialist Gus Lira for more information or to request a charter quote at 888-535-9538, you can also Email us or simply fill out a Europe Charter request.